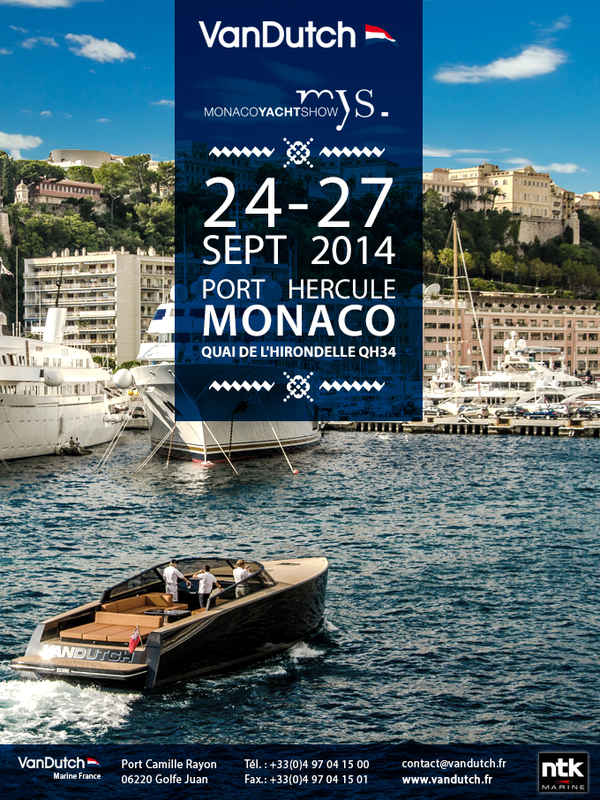 VanDutch is glad to Welcome you at the Port Hercules in Monaco’s Principality, for the Monaco Yacht Show on September 24-27, 2014. This year the world’s largest showcase for Super and Megayachts afloat will be the biggest ever, with an expanded exhibition area and berthing for around 110 superyachts in the Port Hercules of Monaco. This annual, one-of-a-kind event attracts industry leaders and billionaires from around the world. Recent figures stress that there are now more ultra-rich people with a strong propensity to buy, and with a certain interest in yachting, especially within the USA and Eastern Europe, which remain historic markets for yachting. The MYS will welcome among others, new wealth, notably from emerging markets like Turkey, China or South Asia and these visitors will be walking the docks to catch up on the latest Superyacht trends and maybe be tempted to acquire these Jewels of the Seas whilst in the glamorous setting of Monaco. What makes Monaco so special during the MYS are the events held every day. Over one hundred events are organised on board the yachts, at the stands, or in the Principalities top hotels. Awards, business lunches, gala dinners and cocktail parties are some of the many highlights that enable formal and informal networking and often attract those that can afford and do buy Superyachts.